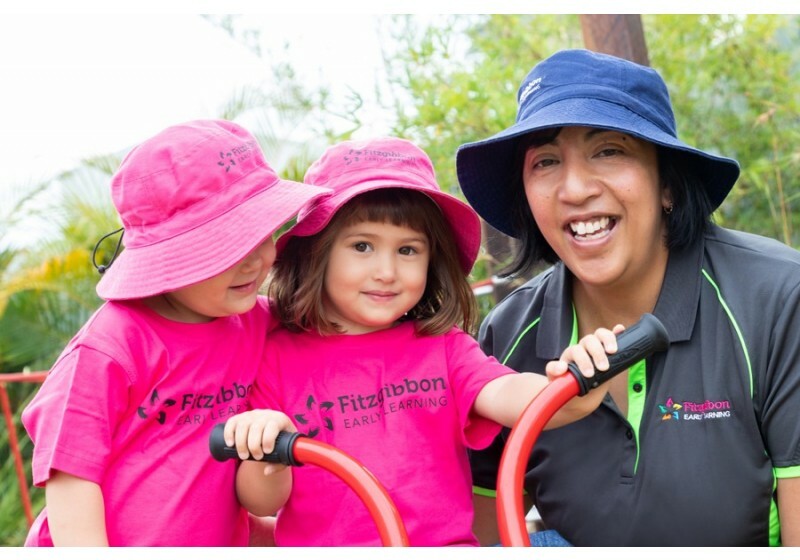 Hi, my name is Billie and I am the Service Manager at Fitzgibbon Early Learning. 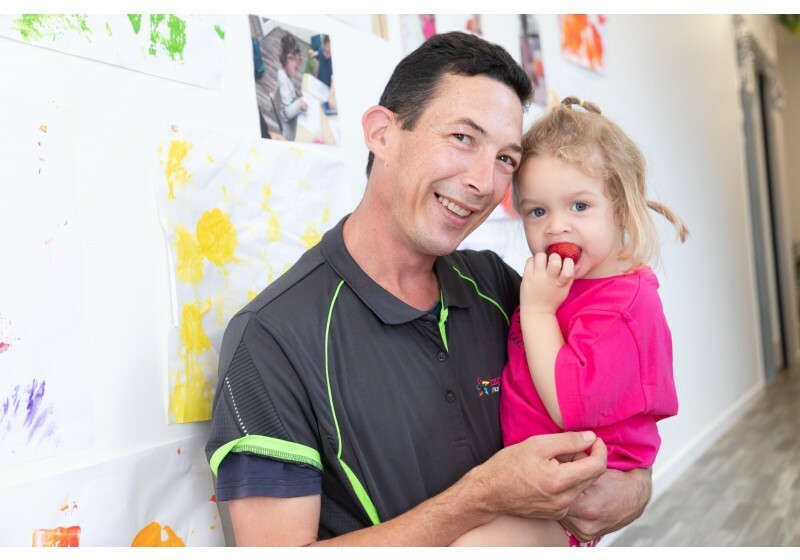 I have been working with children and families in the Early Childhood sector since 2000 and have held the role of Service Manager in Early Childhood services since 2009. I hold an Advanced Diploma in Children’s Services and have the joy and responsibility for the day to day running of Fitzgibbon Early Learning, in accordance with the National Regulations. The saying ‘it takes a village to raise a child’ influences every decision that I am called to make in the delivery of quality education and care for children and their families. 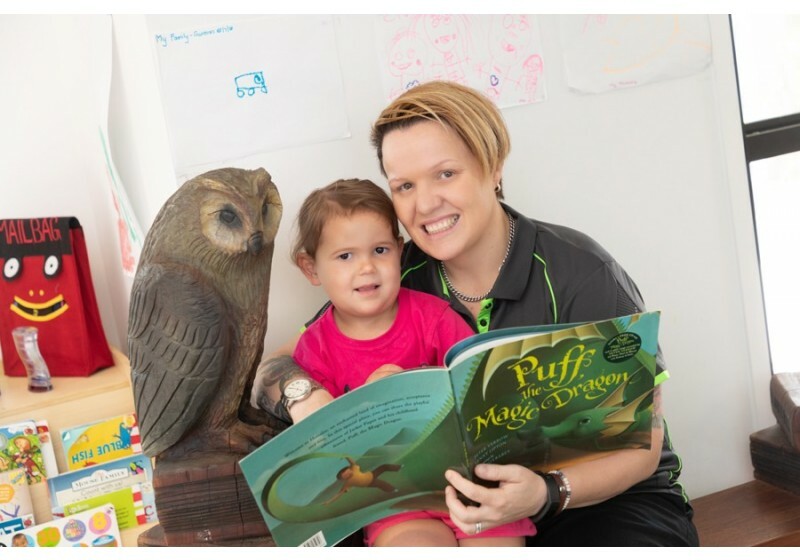 Children spend a large portion of their awake time in early years environments in an early childhood setting and this forms the connection between the care and education setting and home critical for children's growth and happiness. We want to create a home away from home. I have high expectations for the care and play environments that my children attend with the core focus being on relationships, safety, learning through play and the creation of stimulating and empowering spaces for children to play and grow. I welcome you to Fitzgibbon Early Learning! 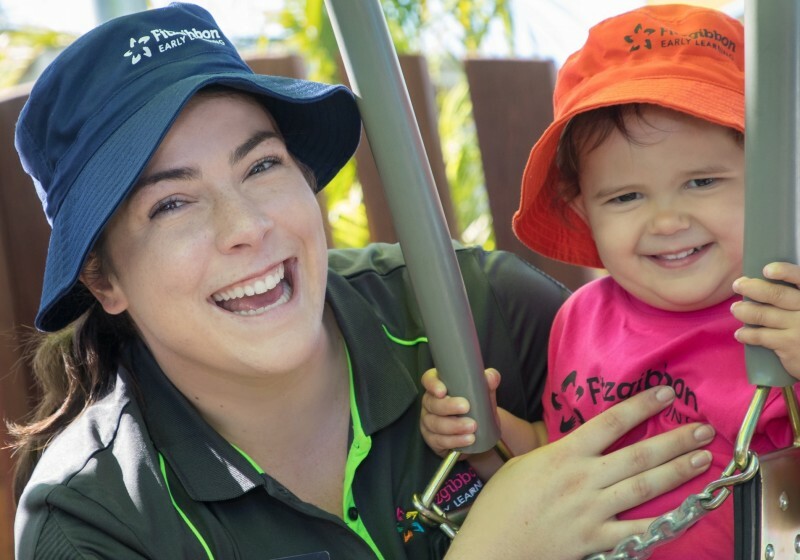 Hello, my name is Emma and I am the Assistant Service Manager at Fitzgibbon Early Learning. I support the Service Manager with the day-to-day responsibility for the service in accordance with the National Regulations. I am qualified with a Diploma in Early Childhood Education. 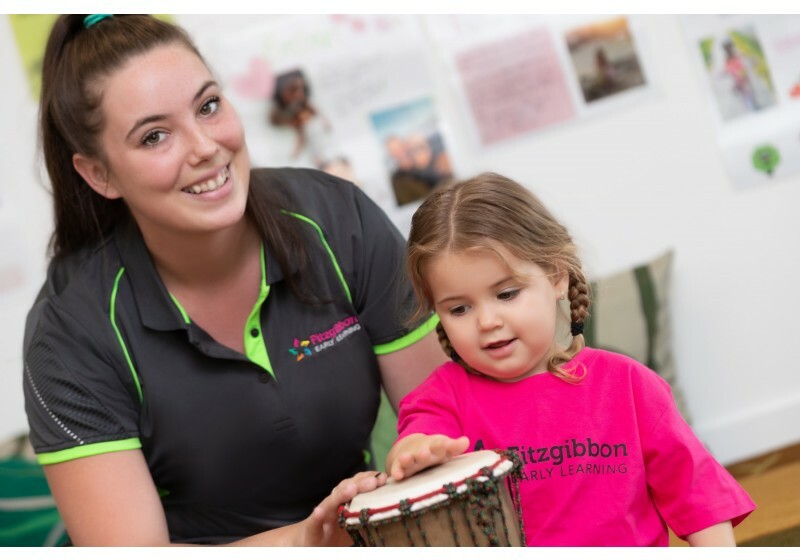 I have over 10 years experience in early childhood and have been at Fitzgibbon Early Learning since it opened. I feel very privileged to come to work each day in a job that I not only love doing but am very passionate about. I respect diversity, by valuing and reflecting the practices, values and beliefs of families, to form a strong sense of belonging for all children within our wonderful service. I love building relationships with not only the children in my care but also the families. It is important to me to create an environment where children feel safe and supported and can grow beyond societies expectations. An environment that allows their imagination to reach its greatest heights, to explore the treasures of the world, to learn in a way that supports each child individually and most of all an environment that is engaging and fun. I am a true believer in messy play and exploring concepts outside the box. 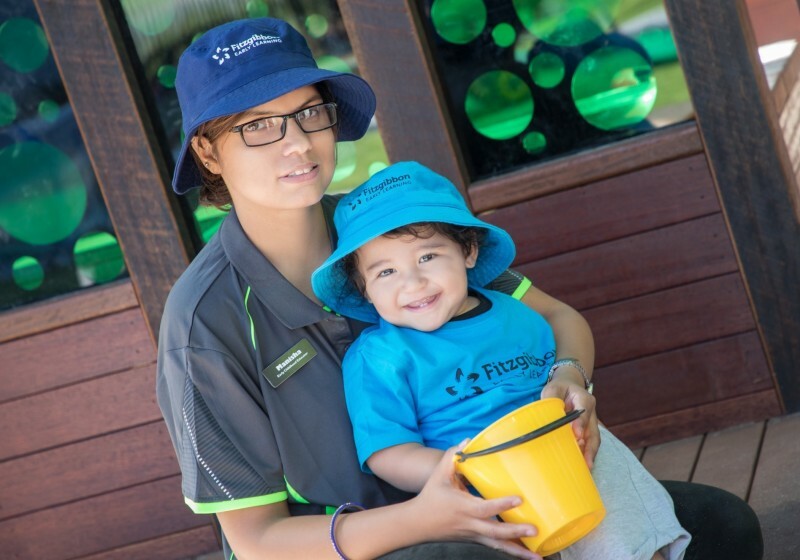 I welcome all families to visit Fitzgibbon Early Learning for their child, my own child loves it here too. Hi, my name is Michaella and I have worked in the Early Childhood Education industry since 2013. During this time, I completed both my Certificate III and Diploma in Early Childhood Education and Care. As Educational Leader I support all other Educators with their understanding of the Early Years Learning Framework and the National Quality Standards so they can provide the best Education and care for the children in the service. I am passionate about creating a warm and welcoming classroom environment where children feel encouraged to laugh, play and experiment. I feel strongly about developing educational programs that are child centered and focus on the individuals interests. My favourite part about working with children is their ability to always bring joy to the smallest of things and find humor in everything they do. Hi, my name is Lindsay and I am the Chef at Fitzgibbon Early Learning. I am very proud to say that I have been a professional chef for over 15 years, working in fantastic venues around Australia that included fine dining restaurants to high quality mine site cuisine. I have also worked as a qualified dance instructor and fireman. At Fitzgibbon Early Learning, I share my love of food to produce nutritionally balanced meals, made daily using fresh ingredients. I look forward to helping the children learn about healthy eating habits and how all foods are tasty and fun. I will also be teaching the children about sustainability and how we can give back to the environment that provides our tasty foods. I strive to bring variety to the children, catering for special dietary needs such as allergies, intolerances and culturally specific dietary requirements so that all children receive the nourishment they need. Hi, my name is Catherine and I have the pleasure of being the Early Childhood Teacher for our Kindergarten. I hold a Bachelor of Early Childhood, as well as my Certificate III and Diploma in Children’s Services. 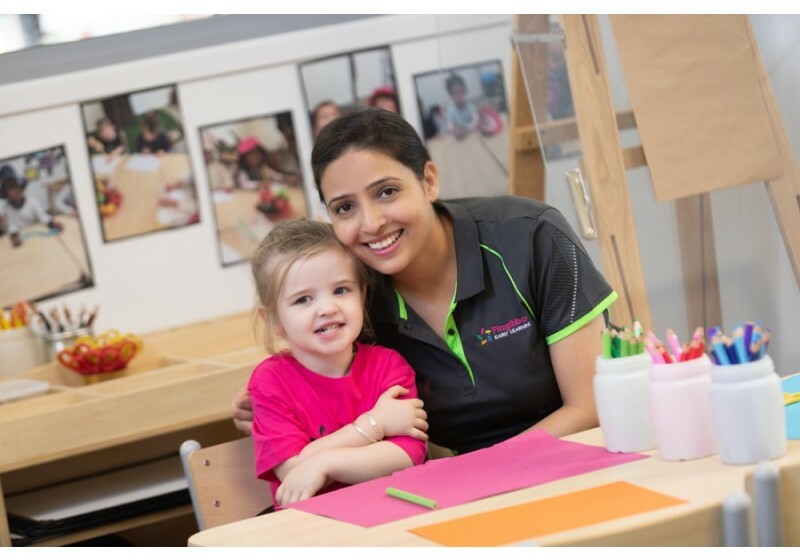 With over 15 years’ experience in the childcare industry, I love teaching children and helping them grow and learn every day – implementing the Queensland Kindergarten Learning Guideline Curriculum. I really enjoy my career and intend to give your child the highest quality education and care. I have always been very passionate about teaching young children and started in early childhood education in my early adult years. I want to nurture children in a safe and secure environment, to become confident learners through exploration and play. 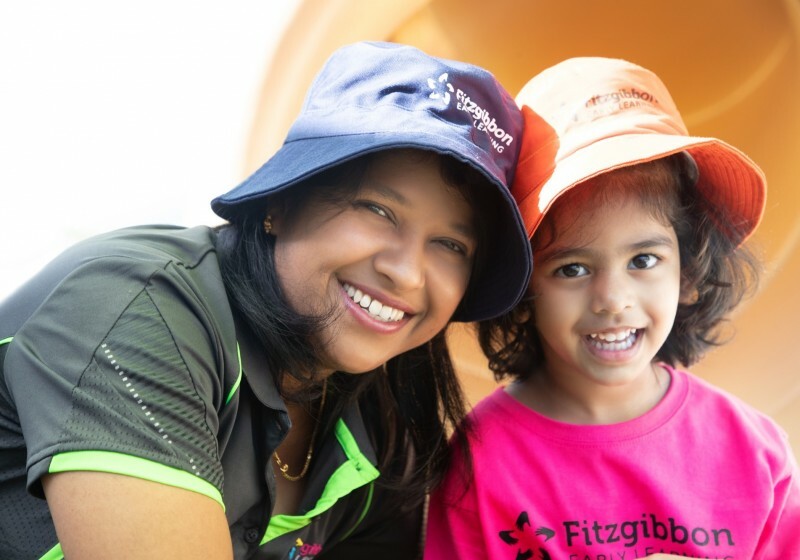 I am so excited to meet the families and children who are part of the Fitzgibbon Community and having the most fun with your children this year. If you have any questions, please come and see me - I am always up for a chat. Hi, my name is Mady, and I am very pleased to say that I am an Educator in the Kindergarten. I have completed my Diploma in Children’s Services and am currently studying my Bachelor of Early Childhood. This means that Fitzgibbon Early Learning has two teachers for our Kindergarten! This provides a huge educational boost to our wonderful children prior to starting school. I have worked in the Early Childhood industry since 2013 and I love to have fun and provide interactive experiences for the children to learn and explore. It is a pleasure to watch the children’s faces as they engage and try new experiences. 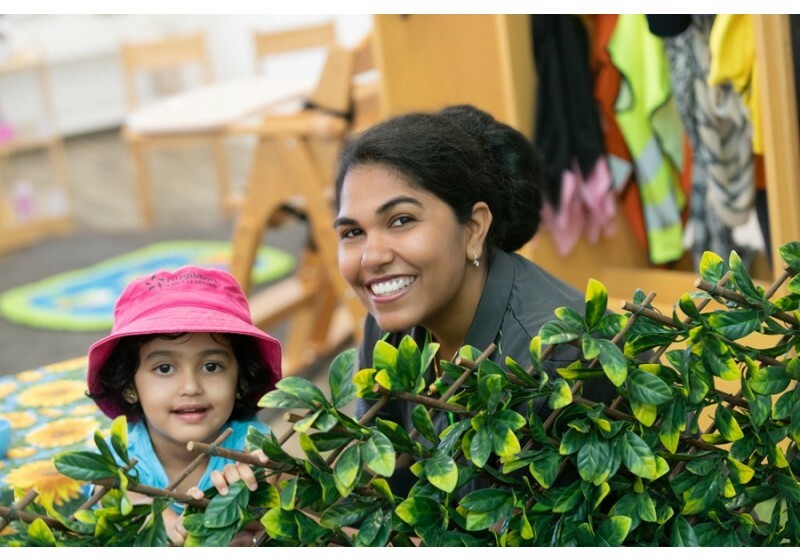 I believe that it is paramount that all Educators appreciate children’s individual personalities and their input into the programs, which contributes to our engaging Kindergarten program. Hi, my name is Sonam. I am a Lead Educator in Pre-Kindy Classroom. I hold my Diploma in Early Childhood Education and Care. I am originally from Pakistan and moved to Australia in 2016. Working with children has always been my passion. I am fortunate to understand and communicate in four languages and love to share my experience with the children. In Pakistan, I was a qualified Nurse and a Midwife, where I worked with children for over four years. That experience gave me the inspiration to work with happy, healthy and growing children and become a part of their learning. Hi, my name is Sophie and I am a Lead Educator in Pre-Kindy Classroom. I have worked in the Early Childhood Education industry since I graduated high school in 2014. During this time in the childcare industry, I have completed my Diploma of Early Childhood Education and am currently studying my Bachelor of Education (Birth - 5years). I believe that each child is unique and as an Educator, I aim to work with each child to build on their strengths, interests, skills and abilities in order to create a base for a lifelong love of learning. I look forward to making you feel very welcome at our wonderful service. 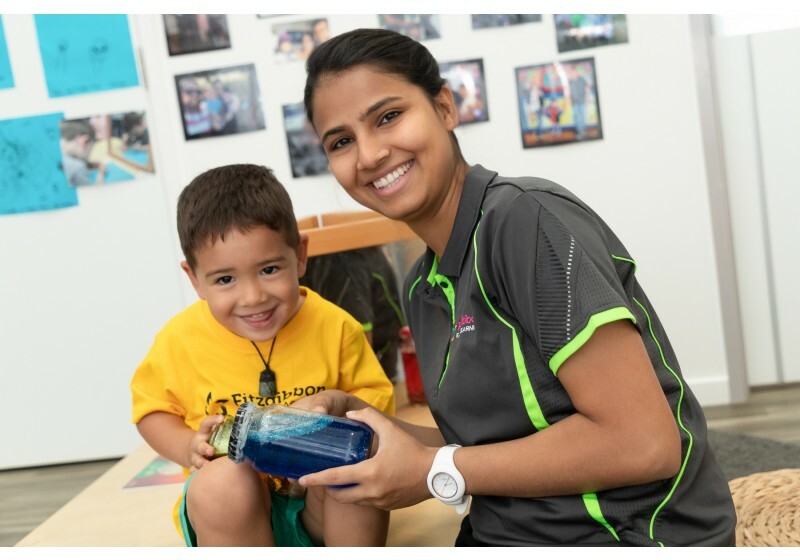 Hi, my name is Jasmine and I am the Lead Educator in the Junior Kindy Classroom. I love to meet everyone, so please say hello if you see me around. I hold my Diploma in Early Childhood Education and Care. I am originally from New Zealand and have lived here with my husband for the last ten years, having raised four children and I now also have two beautiful granddaughters. They have been influential in bringing me back to the enjoyment of Early Childhood Education and are my standard for the quality of education and care I deliver for children and their families. I’ve spent most of my working life advocating for children and working alongside families in different job capacities. I have patience in bucketloads, enjoy the company of our children and I care about how they are feeling everyday. I’m excited to be here and I’m looking forward to meeting you all. Hi, my name is Harshita. I am a proud mother of two beautiful boys and I am an Educator in the Junior Kindy Classroom, I hold a Bachelor in Commerce and Diploma in Early Childhood Education. I am originally from India and have been living in Australia for last ten years. I have enjoyed working in the childcare industry since 2014. I believe in freedom of play and exploration which is the key for developing the total self. I firmly believe in following children’s cues and interests to provide a rich nurturing environment. I believe that children need a safe and secure environment with strong partnerships with families and culture to find themselves, and to grow to be confident and strong beings. Through a child-centered approach, each child can develop to his or her full potential and beyond. Children must have their basic needs met to develop and learn effectively. Each child deserves respectful loving care and have their unique characteristics, talents and interests which must be encouraged by giving them agency with their individual learning. We all have the same goal, to make your child’s learning experiences here as fun as possible. I look forward to working with you and with your child to make this a wonderful year full of learning, discovery and fun. Thank you for entrusting me with your child’s care. Hi, my name is Jessica and I am an Educator in the Pre Kindy Classroom. I hold a Certificate III in Early Childhood Education and I am currently studying a Diploma of Early Childhood Education. Working with children has always been a passion of mine. I have been working in the early childhood industry since 2014 and I welcome you to our wonderful service. I love being able to join your family and child as they grow and develop into knowledgeable, confident, independent children. I believe that children learn best when they enjoy what they are doing. I endeavor to learn as much as I can about each child to ensure the environment around them is engaging. I also believe having a good relationship with parents/caregivers is just as important as the relationship I have with the children. I strive to build a strong relationship with families and I enjoy learning about each of you. 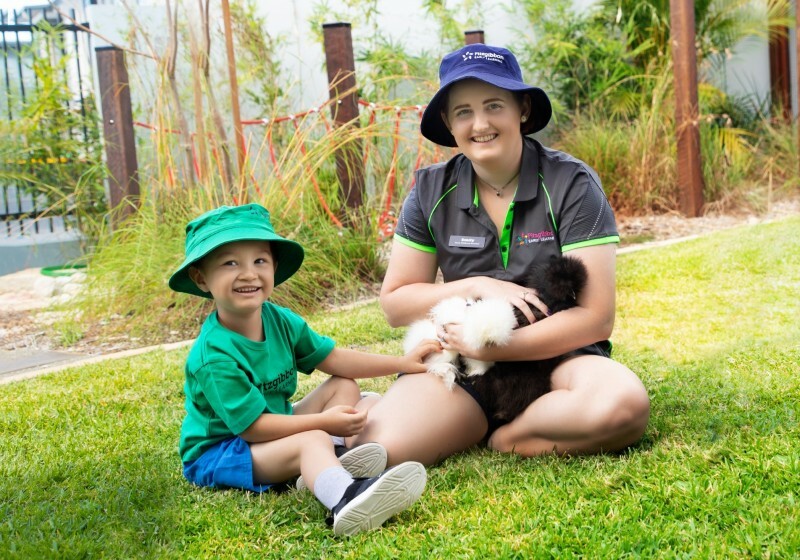 Hi, my name is Emily and I am Educator in Training for the Junior Kindy Classroom and also have the very important role of taking care of our wonderful animals. I hold my Certificate II in Animal Husbandry, Certificate III in Business Administration and I am currently studying my Diploma in Early Childhood Education and Care. Working with children has always been a hidden enjoyment for me. I discovered my passion when I was given the opportunity to work with children whilst completing my Certificate II in Animal Husbandry. It was here that we held multiple Animal Nurseries that corresponded with our local childcare service. My passion began to bloom and ever since that moment, it has been my inspiration and motivation to work within the industry. Some fun facts about me include that I have competed twice at the annual Queensland State finals for Sheep Meat Judging held in Toowoomba (2016 and 2017) and I won the overall sheep handling competition at the EKKA and I was runner-up for the senior division in 2016. I look forward to sharing the joy that animals bring to all the children. 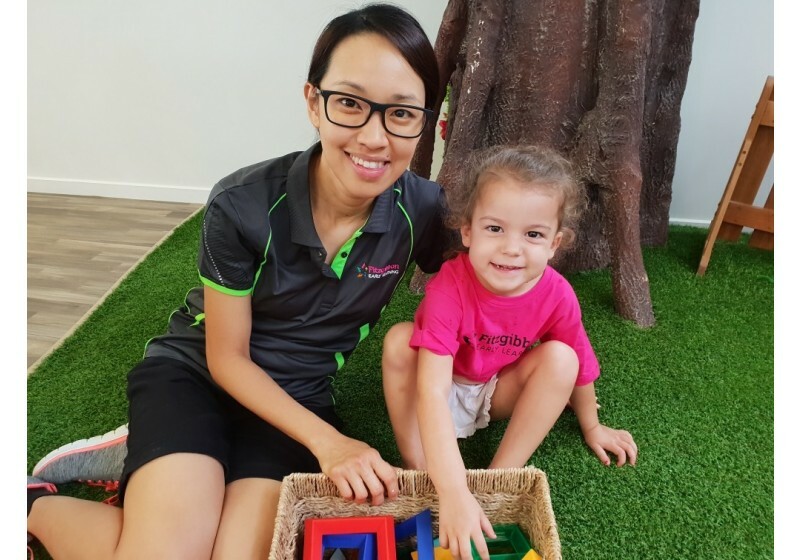 Hi, my name is Siew Yee and I am a Relief Educator in the Junior Kindy Classroom. I am originally from Malaysia and can speak in English, Cantonese, Mandarins and Malays. Previously in Malaysia, I was a High School Teacher with a Bachelor in Education with Science. In 2013, I started work in Children Services and hold a Diploma in Children Services. I am an active and energetic person and have a young son. I love working with children, where I can promote the children’s learning and developments through their interests and play. I am so looking forward to work with all the parents and children in the service. Mabuhay! My name is Jenny and I’m a Lead Educator in the Toddlers Classroom. I am originally from the Philippines. I hold a Diploma in Children’s Services and have been working in the early childhood industry since 2013, catering for children aged 6 weeks to 5 years. I pursue my passion in educating young children because I believe that children are capable and contributing members of the society, who require support, nurturing and respect to reach their full potential. When I see children striving to achieve their goal, it inspires me to assist their learning journey based on children’s interest through play. 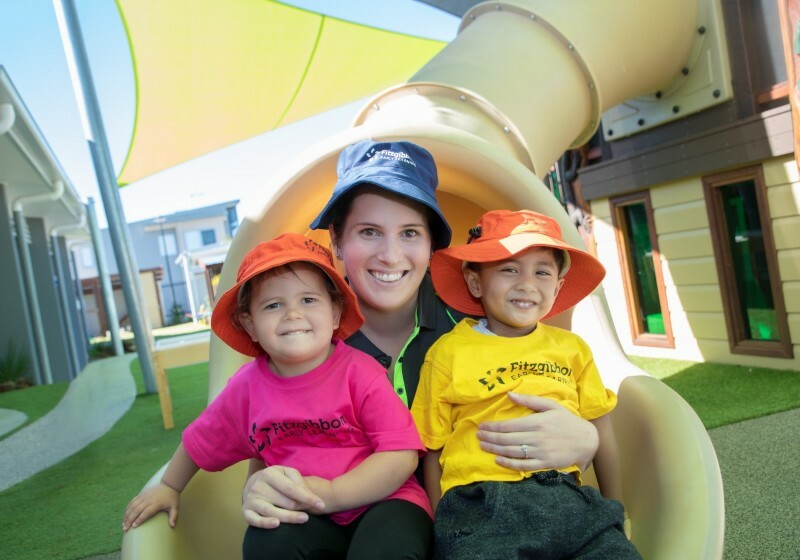 I embrace the philosophy of Fitzgibbon Early Learning of providing high quality Early Childhood Education and Care by planning a program that supports children development through play-based learning. It is my duty of care to provide a learning environment and experiences that is safe and tailored to fit for children’s stages of development allowing children to develop their own strength and wellbeing whilst embedding sustainability. I recognise the rich cultural diversity that all of our families bring to our community and I am passionate about celebrating these differences. Hi, my name is Kasumi and I am a Lead Educator in the Toddlers Classroom. I hold a Certificate III in Early Childhood and Diploma in Early Childhood Education and Care. I am originally from Japan and moved to Australia, in 2014. Australia is a very warm country and people here are so nice, so I am glad to work here with friendly people and seeing children grow. I have worked in the childcare industry since 2015 and I love working with children as well as engaging with their families. My goals are to continue studying in Early Childhood Education and Care and to keep building upon my range of skills as an Educator. Some of my hobbies include jogging, learning other languages, drawing and craft. You will find that I like to listen and talk with people to really understand their situation and requirements. I look forward to welcoming you to our wonderful service! Hi everyone, my name is Venika. I am originally from Thailand and moved to Australia in 2009. I am an Educator in the Toddlers Classroom and have been working in the childcare industry since 2014. I hold a Certificate III in Children’s Services. Prior to this, I studied my Bachelor in Communications in Thailand and became a Computer Teacher for the Kindergarten. I love to see children grow and support them as they develop skills on their own. I would love all the families to share their own culture, tradition and beliefs because I believe that if we know more about the children’s background, we are able to support their developmental needs. 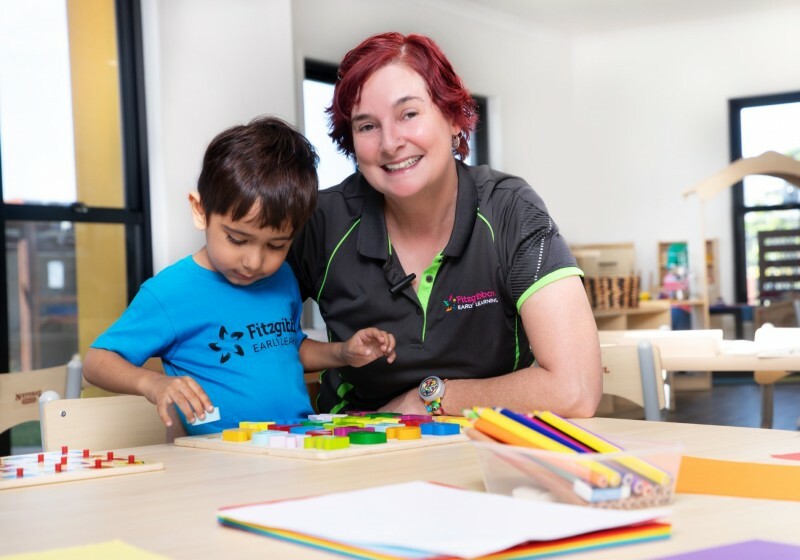 I am excited to be a part of Fitzgibbon Early Learning where we are a multicultural service, so I can continue to learn different cultures and support children to develop their potential by believing in themselves as capable individuals. Hi, my name is Manisha and I am an Educator in the Toddlers Classroom. I am from Nepal and have been in Australia since 2015. I hold my Certificate III in Childcare. After giving birth to my baby girl, I was inspired to work with children of different cultural backgrounds in the childcare Industry. I passionately support children to explore their interest in exploring different activities and I recognize them as unique young individuals. 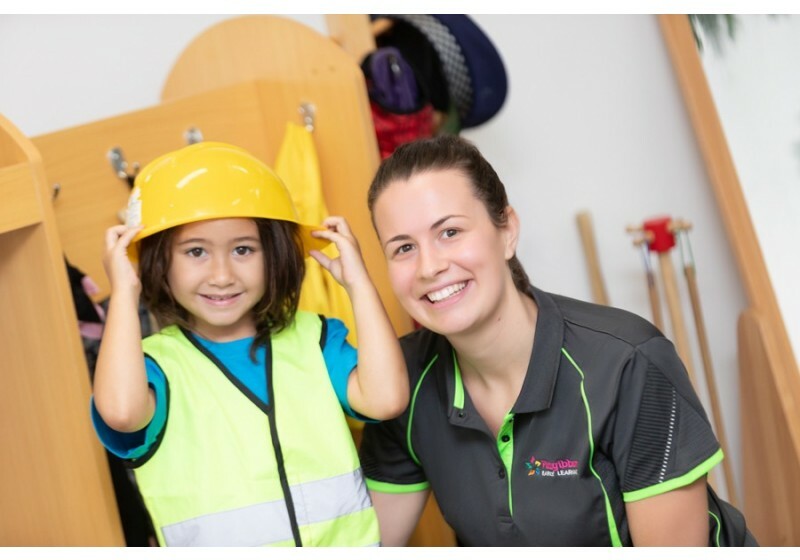 I chose to work in the childcare industry to support their learning environment where they can be comfortable to express their feelings and to encourage the development of positive self-esteem - which respects the differences and similarities in society. My hobbies are singing and cooking and I look forward to welcoming you. Selamat Siang – Hello, Good Day! (Indonesian), Kamusta – Hello! (Philippines). 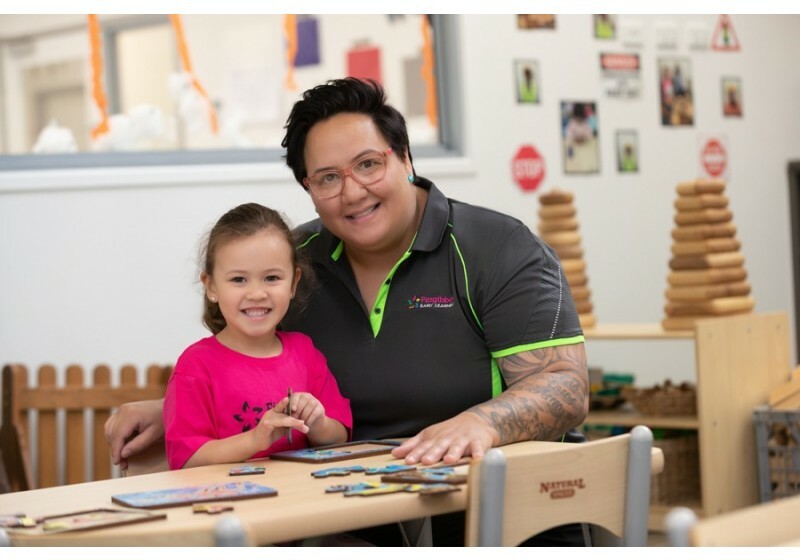 My name is Justina and I have the pleasure to be working alongside Billie and the amazing team here at Fitzgibbon Early Learning as the Lead Educator in the Nursery 2 Classroom. The highlight of being a Lead Educator is being able to see children reach their milestones and helping them learn through play. I am a mother to my young daughter and I have raised her around our cultural influences being Indonesian and Filipino. I love teaching my daughter and investing her time in other cultures as we’ve recently visited Noumea, Lifou and Vanuatu. I have a passion for interactions with children and families and being able to have fun and loving influence on their development with family input and an open trusting relationship. My favourite activities to do with children are; messy play, sensory play, water play, outdoor play and encouraging them as an individual to grow and learn with love and care. When not at work you will find me and my family camping in Kenilworth, 4WD on Bribie Island or enjoying a banh mi thit (Vietnamese pork roll) at the Carseldine markets! Hi, my name is Farhana, and I am an Educator in Nursery 1 Classroom. I am originally from Bangladesh and moved to Australia in 2015. I have been working in Early Childhood Education industry since 2016. Most of my experience is with children aged 6 weeks to 2 years. I hold Diploma in Early Childhood Education and a Bachelor of Business Administration. I believe that the foundation of learning and interaction that a child receives at a young age greatly impacts on their behaviour and learning in the future. As an Educator, my goal is to value and develop each child's strengths, interests, skills, abilities and knowledge to extend their learning. I am passionate about creating fun environments for children where they can learn and grow. I look forward to welcome you at Fitzgibbon Early Learning. Hi, my name is Swarnjeet and I am an Educator in Nursery 2. I am originally from India and moved to Australia in 2016. I hold Masters of Education in Physics and Certificate III in Early Childhood Education and Care. I am currently studying my Diploma in Children Services. I have children, it is an amazing and rewarding feeling to know that we are supporting children through some of the most important years of their lives. I believe in hard work and that nothing is impossible if you set your mind to it. I feel extremely proud to be a part of the Fitzgibbon Early Learning team. There is amazing atmosphere at the Service, which is why I love working there every day. Hi, my name is Chantel and I am the Lead Educator in Nursery 1. My husband and I have three gorgeous boys, who are all in school now. I have nine years of experience in the childcare industry, having completed my Diploma in Children’s Services in 2011. Most of my experience is with children aged 6 weeks to 2 years. I thoroughly enjoy teaching the younger years as I believe this is where most of their development occurs and is where the foundation is set for the rest of their time in childcare. I know leaving your child with someone new can be daunting, but I want to assure you that in my room I will treat all your little ones like my own. I have a genuine passion for early childhood. I will endeavor to follow your home routine with your child and assist with all developmental milestones. My room program is based on the individual child, I feel by doing this, I am able to provide activities and experiences to all the children based on their developmental stages and interests. 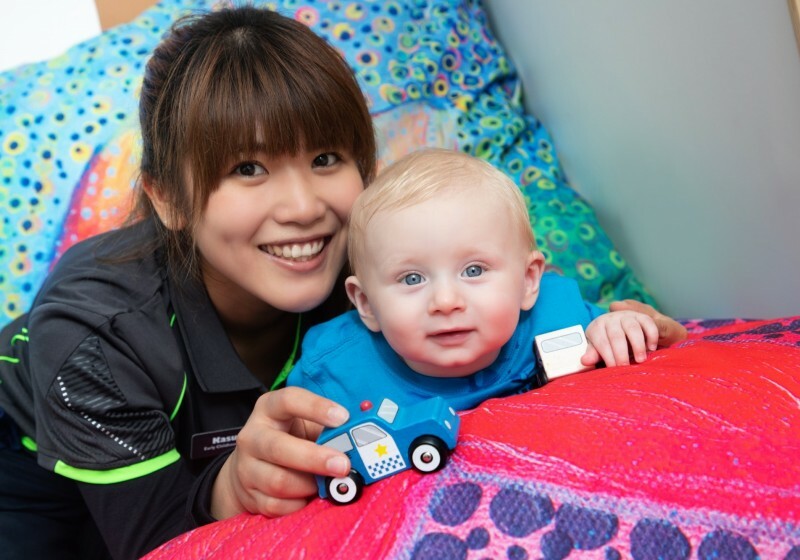 I have an open-door policy, so please come in and have a chat or even a visit with your little one whenever you want. My priority is your child! I pride myself on a high level of communication to all families to ensure they know how their child’s day was. I am extremely excited to get to know you and your family. Hi, my name is Nikita and I am an Educator in Nursery 1. 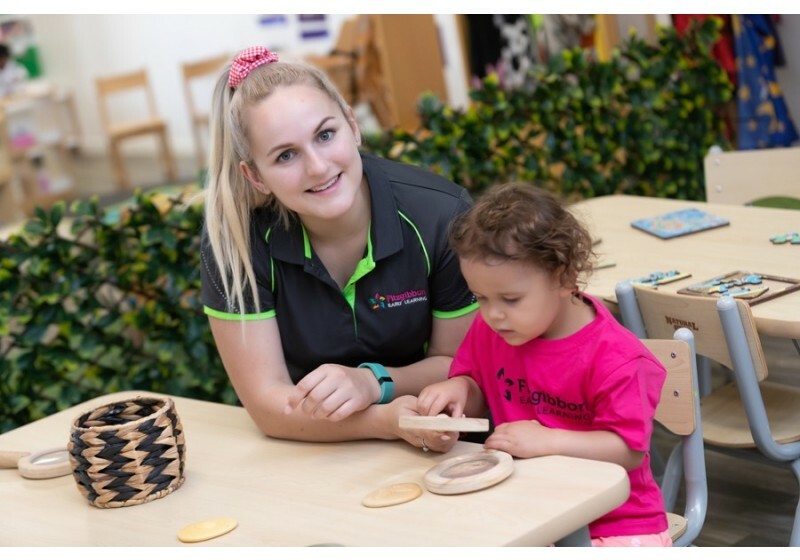 I hold a Certificate III in Early Childhood and I am excited to say that I am currently studying my Diploma in Early Childhood Education and Care. I love to work with children as they create such positive energy. Children at this stage are so innocent, independent and creative, just in need of a bit of guidance - my aim is to be the person who makes this an enjoyable learning experience. I believe each child deserves respectful, loving care and has their own unique characteristics, talents and interests which must be encouraged. I look forward to establishing and maintaining respectful relationships with children and families. Hi, my name is Jagruti and I am a Relief Educator. I hold a Certificate III in Early Childhood and Diploma in Early Childhood. As I was born in India; live in Australia and interact with multicultural people, I strongly believe in cultural diversity and I enjoy sharing my home culture with the children and enjoy learning about theirs. I believe that supporting children’s self-confidence and self-esteem is important in reaching development milestones for children. As an artistic person, creativity would be my personal strength in childcare as I am forever looking for new ways to change the environment and give the children something new to explore through my unique talent. I am passionate about travelling and the great wide world we live in. Teaching the children about all the places I have been, things I have seen and the language I know is a very special thing. Hi, my name is Kiran and I am a Relief Educator. I am originally from India and have been in Australia since 2011. I hold a Diploma of Early Childhood Education and have been part of the childcare industry since 2016. As an Educator and a parent of two beautiful children, I believe that the early years are the foundation for life, health and learning. Each child is a unique individual and that all the children develop through their own pattern of growth and development. I enjoy my daily interaction with the children and being able to have a fun and loving influence on their development. I believe in providing safe, secure, friendly, nurturing and a happy environment where children are encouraged to learn, create, imagine, discover and play. I love to see children’s learning through play and believe children learn best in a supporting and engaging environment. I wish all the best to every child at Fitzgibbon Early Learning and love to watch them grow and look forward to this journey of caring for your child. Hi, my name is Faith and I am a Relief Educator here at Fitzgibbon. I recently finished high school in 2017, during which time I completed my Certificate III in Childcare and volunteer childcare placement from 2015. I believe that as an Educator it is our job to ensure that children receive the best learning environment, care and support. A little about myself, I grew up on the Sunshine Coast, I have always loved beaches, exploring, finding new things and meeting new people. I am easy going and always wanting the best for others and myself. I look forward to seeing you around the Service!